Korean Culture Night is dedicated to expressing and sharing the Korean Culture and continuing the great tradition of diversity on the UCLA campus. Our 100% student run organization has relentlessly pursued theatrical excellence and prepared an original night of theatre, dance, and music. Please join us in Royce Hall on Thursday April 11th, 2019 as we pay homage to the people of our past and history. What is Korean Culture Night? One of the largest student-run productions at UCLA and the largest Korean student production in the country, KCN has strived to bring diversity to our campus for the past 24 years. 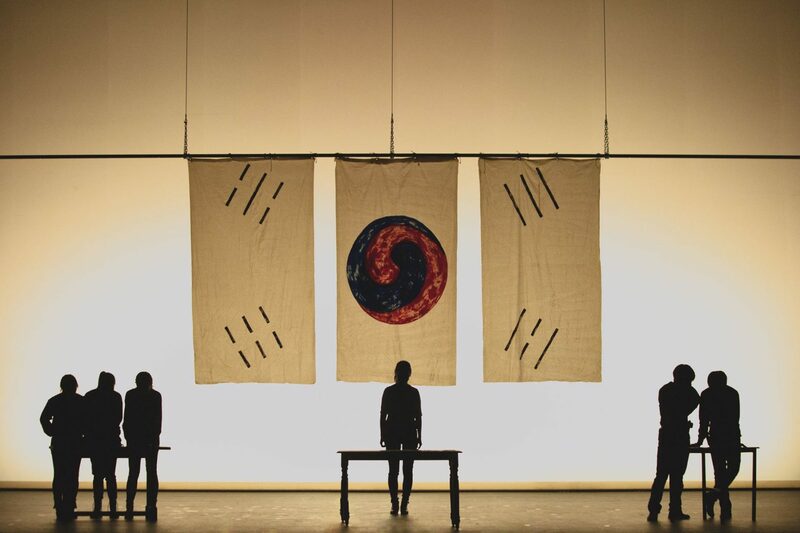 From a small talent show to a large theatrical performance, KCN has become the largest student run Korean production in the United States. We want to keep this tradition alive and well on our campus and community. We Need Your Help to Make This Show Possible! We are dedicated to bringing the best cultural production possible to you! But we can't do it without your support. This year, our large production is even larger as it will be a musical, which will need set designs, costumes, stage equipment for filming, lighting, musical composers, and so much more. These are costs that add up quickly. We want to keep this show free and open to the public, and ask our entire community - from Los Angeles to Seoul - to help us crowdfund our performance, honor our parents and keep our cultural traditions alive and well on UCLA campus. Please make a donation today! We cannot bring this story to life at Royce Hall without your help. Please join us as we bring Korean culture to UCLA. Share our KCN donation page with your friends and family (http://www.la-kcn.com/donate/) and encourage them to support Korean Culture Night. Thank you so much for your support! We couldn't have a student-run production like this without your generosity! 한국 문화의 밤은 UCLA 캠퍼스 안에서 한국 문화를 널리 알리고 또 다양한 인종들과 이를 나누기에 집중해 왔습니다. 모두 학생으로만 이루어진 저희 단체는 연기와 춤 그리고 한국 전통 예술인 부채춤과 풍물놀이를 통해 많은 이들에게 한국 문화를 알리고 있습니다. 2019년 4월 11일 Royce Hall 에서 펼쳐지는 저희의 무대를 보러 와 주세요! UCLA 캠퍼스 안에서 가장 큰 학생 프로덕션이며 미주에서 가장 큰 한인 학생 프로덕션입니다. 저희 단체는 24년이 넘는 시간 동안 한국 문화를 널리 알리기 위해 애써왔습니다. 맨 처음 작은 장기자랑으로 시작했던 한국 문화의 밤은 현재 미국 현지 안에서 가장 큰 한인 학생 프로덕션으로 성장했습니다. 저희는 UCLA 캠퍼스 안에서 한국 문화의 아름다움과 전통을 이어나가기를 바랍니다. 저희는 현재 좋은 공연을 펼치기 위해 많은 연습과 노력을 하고 있습니다. 여러분의 도움과 함께라면 최고의 공연을 만들어 낼 수 있다고 믿습니다. 저희는 현재 세트, 공연복, 촬영 장비와 조명시설과 같은 많은 것들이 필요한 상태이며 이러한 전문 설비와 장비들은 많은 자금을 필요로 합니다. 또한 한국 문화에 관심이 있는 모든 지역 주민들과 학생들을 위해 한국 문화의 밤 공연을 무료로 진행하기 위해서 엘에이에 거주하는 한인 커뮤니티부터 한국의 계신 분들에게 까지 도움을 요청하고 있습니다. UCLA 안 캠퍼스에서 살아 숨쉬는 한국 문화를 널리 알리기 위해서는 현재 재정적인 도움이 필요합니다. 오늘 저희를 도와주세요! 여러분의 도움 없이는 해낼 수 없습니다. UCLA 캠퍼스 안에서 한국 문화를 알리는 저희를 도와주십시오. (http://www.la-kcn.com/donate/)이사이트를 공유해주시고 주변 지인들이 알 수 있게 해주세요. 페이스북, 인스타그램, 텀블러, 트위터 모든 곳에 올려주시고 해쉬태그는 #UCLAKCN2019로 해주십시오. "Continue" 를 누르시면 PayPal 페이지가 뜹니다. 여러분의 관심과 후원에 감사를 드립니다. 여러분의 작은 도움들이 모여 저희에게는 큰 힘이 됩니다.